All the products of Kim Anh Production Trading Service Co., Ltd. are guaranteed from 1 to 5 years depending on each commodity and initial quality placed by customers. 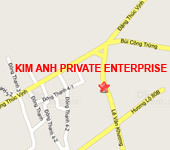 Method of warranty: Employees of Kim Anh Production Trading Service Co., Ltd. will come to your home to troubleshoot. For serious cases, we will replace completely new similar products or give back product at no extra cost. We are willing to let you return the goods already bought by you when you receive the product which is not similar to what is described in Kim Anh Production Trading Service Co., Ltd.. Upon delivery you only pay the one – way transport cost. After delivery is completed (transport, assembly, payment done), we will not accept the return of the goods anymore. In addition, we give free of charge for the cost of product assembly for our customers.